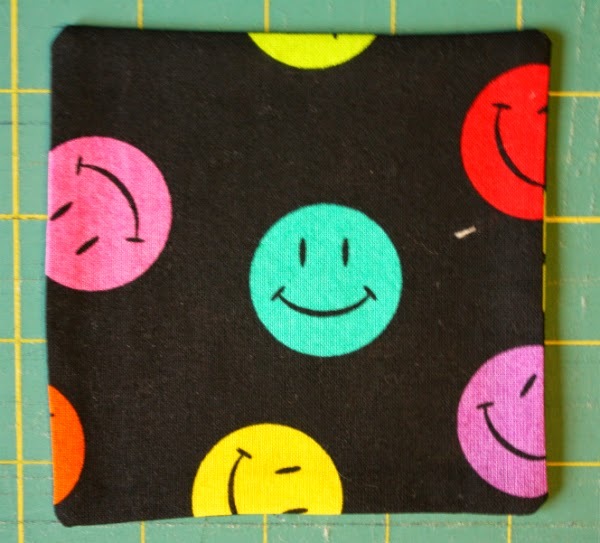 Bean bag toss games are always fun, and bean bags are amazingly simple to sew up, so these little games make great gifts for kids. You can customize them by using fabrics in the recipient's favourite colours, or you can do like I did and assembly line a whole bunch of them at once. 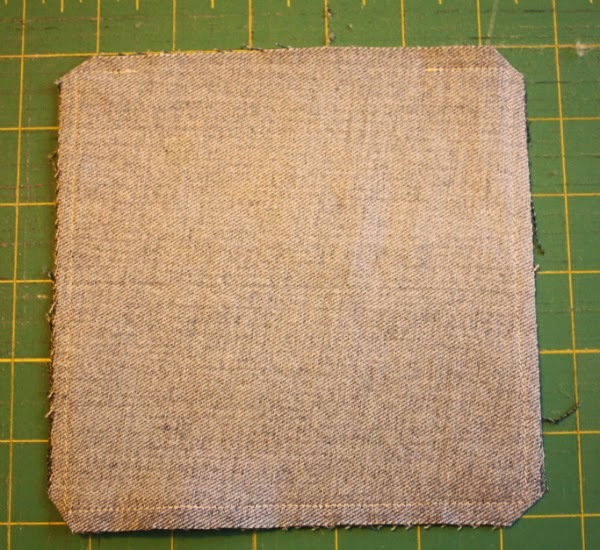 * 4 1/2" squares of fabric. You need two squares for each bean bag. I included 3 bean bags in each game, so I used 6 squares. Pin two fabric squares right sides together. After accidentally sewing all the way around things in the past, I like to use two pins to remind myself to leave a gap for turning the bean bag right side out. 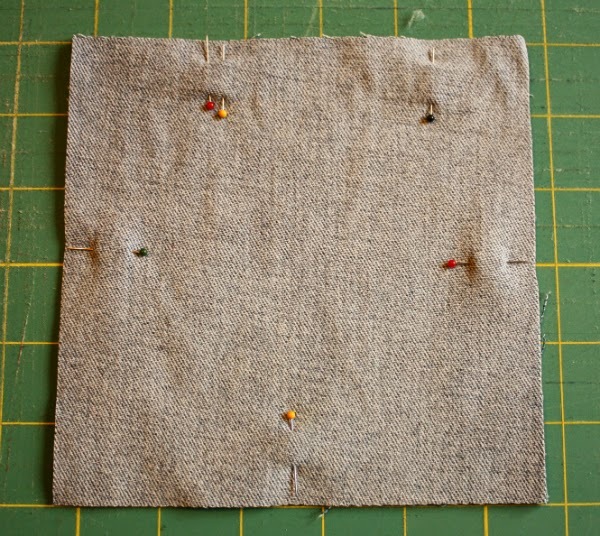 On this one, I started sewing at the single pin on the top right and stopped at the two pins on the top left. 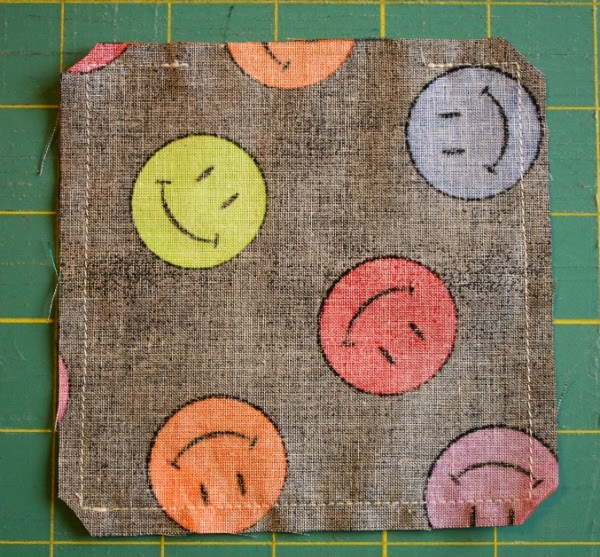 Stitch around the squares using a 1/4" seam and leaving a gap for turning. Clip the corners. Turn it right side out, gently poking out the corners. Press. Fold the seam allowance in along the gap and press that as well. Pour in dried beans. You don't want to fill the bag, but put in enough to give it a nice heft. Pin the opening closed. Using thread to match the fabric, stitch close to the edge all the way around the bean bag. And there you have it! Three bean bags ready to go. * 6" squares of fabric, two per target. I included 3 targets, so I used 6 squares. 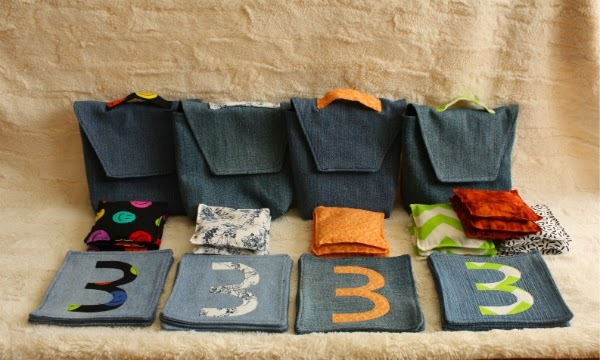 I used denim for my targets, but it would work equally well with quilting cotton. * Contrasting fabric for the numbers. I used the same fabric as for my bean bags. 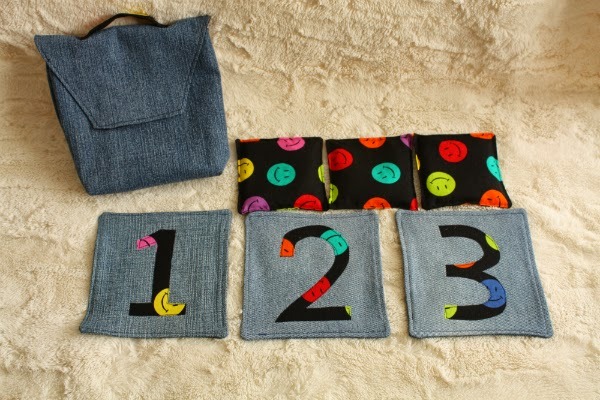 * Threads to match both the fabric for the targets and for the numbers. 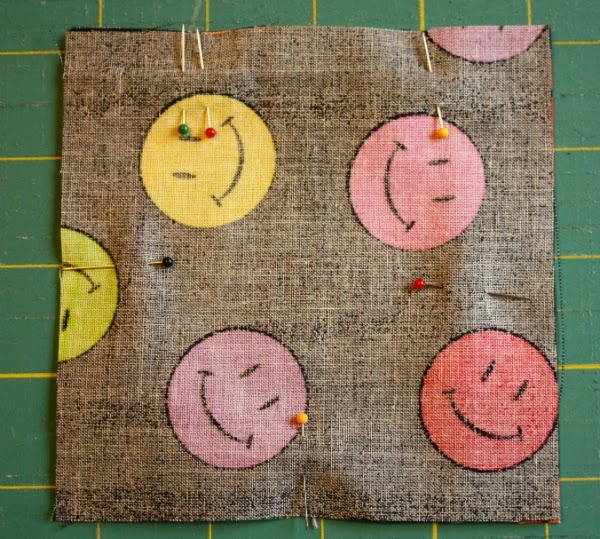 Pin two squares right sides together. Again, I use two pins to remind myself to stop so that I leave a gap for turning it right side out. Turn it right side out, gently poking out the corners. Press. 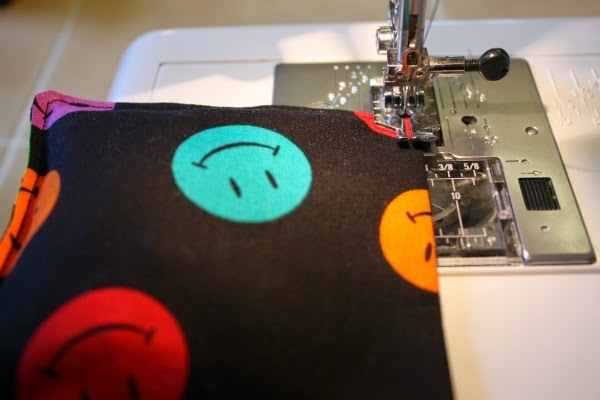 Fold the seam allowance in along the gap and press that as well. Using thread to match the fabric, stitch close to the edge all the way around the target. Because I was using denim I found it helped to use my walking foot for this step. It dealt with the extra bulk at the corners much better than my regular foot. 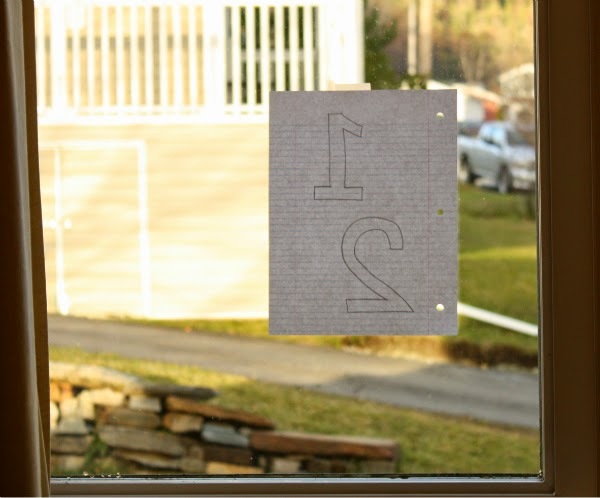 I drew my numbers freehand, but you could print them out if you prefer. Don't forget to reverse them for fusible applique. I used my high-tech lightbox to reverse mine. Following the manufacturer's instructions, fuse one number to the middle of each target. 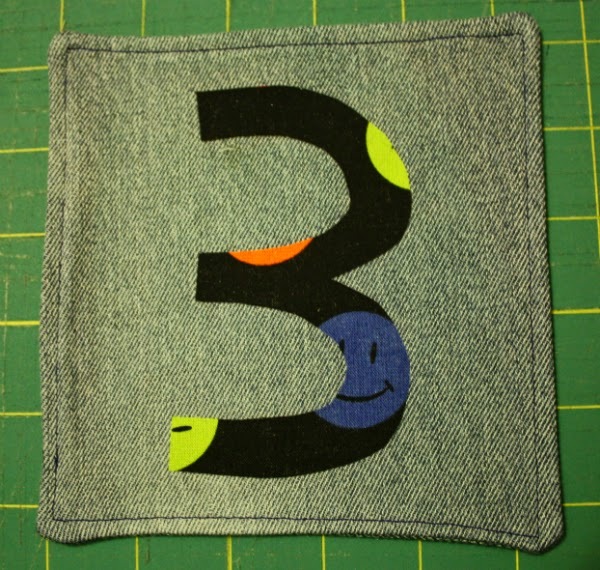 Using thread to match, machine stitch around the edge of each number. I used the basic running stitch, but you could use a decorative stitch if you prefer. And the targets are finished! I meant to have the tutorial for the Denim Pouch with Flap Closure ready to post along with this one, but I ran out of time. I'll have it finished in the next couple of days, and then I'll add the link here. 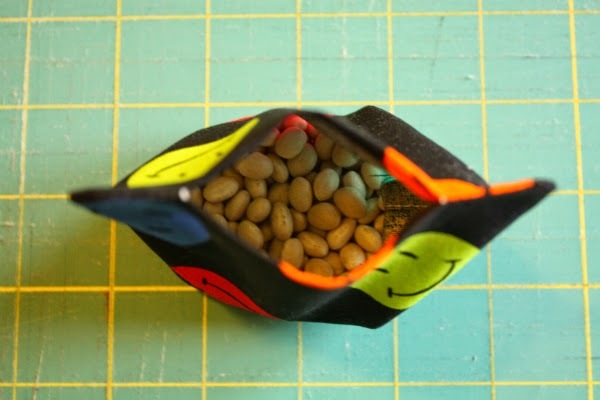 What a great idea and lovely tutorial, Leanne! Such a darling idea. Thanks for sharing. Your gift sets look great! Great idea! I know some small people who would love this! Terrific! They are great, especially in their matching totes!